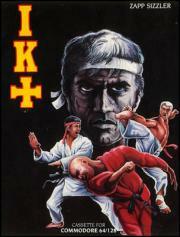 In the game, three karateka fight against each other on a beach, trying to be the first to score six points. The game can be played by one or two human players, so at least one fighter is always controlled by the computer. When I go around telling people that I took an intensive karate course to earn my yellow belt, I'm not sure people realize that my training involved a C64.